Japanese auto major Nissan announced Thursday plans to hire 1,500 people in India to strengthen R&D and global digital hub while also stating that it would go for "voluntary separation" at its Chennai manufacturing unit. The company, which is seeking to revive its presence in India, said it would go for separate dealerships for Nissan and Datsun brands especially in smaller towns in the country. 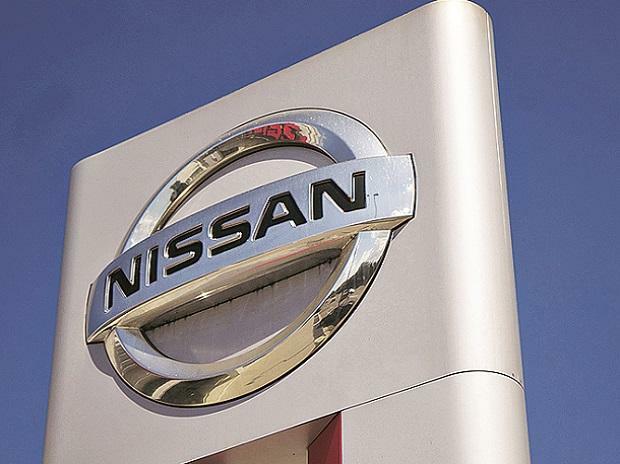 As part of a new strategy, the company is positioning the Nissan at the upper-end building on the brand's global SUV heritage while the Datsun brand will address the mass market segment, Nissan Chairman for Africa, Middle East and India Peyman Kargar said. Interacting with reporters on the sidelines of annual convention of SIAM, he said Nissan will also bring new products to India starting with the Kicks SUV in 2019. The company already employs around 7,000 people at its R&D centre near Chennai doing development work for vehicles in India and handling engineering activities for its alliance with Renault. "We are going to invest in this area in India further. We will hire 1,000 for R&D this year and another 500 for the newly set up digital hub," Kargar said. In the coming years, in India, he said, "We will grow and our workforce will shift towards highly skilled jobs to lead the technological changes coming to the auto industry in India." On the other hand, he said the company will also reduce excess manpower starting with its manufacturing vertical. "We are also going to offer a voluntary departure for excess people in areas where we don't require," he said without disclosing the exact number. "Our aim is to ensure our operations in India are best in class and that India becomes an even more significant global hub for Nissan and the alliance in manufacturing, engineering and R&D," he added. As part of the company's MOVE 2022 strategy, Nissan is looking to fix its business operation in India along with Saudi Arabia, where it has made significant investment but hasn't had much success. "Our strategy in India is to strengthen both the brands Nissan and Datsun for our customers across India," he said, adding the strategy was to use the alliance synergy differently as compared to the past. Through its new strategy, the company is looking at utilising the full capacity of the alliance plant in Chennai as compared to the current 40 per cent through the new measures, Kargar said. At present the plant has an annual production capacity of 480,000. Kargar said going forward, the company is looking at the plant serving the domestic requirement mainly although exports would continue. When asked about new product launches, he did not elaborate but said the company would continue to bring new models in the country. "We will reinforce Nissan as a premium brand building on its SUV heritage starting with the launch of Kicks in 2019," he said. He said Nissan would also harness opportunities in India from its global leadership in electrification and connected cars. The company has been testing its e-Power electric vehicle in India but Kargar said Nissan hasn't fixed a time line for launching the product in India. For Datsun, he said the focus would be on progressive mobility targeting mass market through reinforcement of new product line-up to address developing segments in India. When asked if sales network for Nissan and Datsun would be separated, Kargar said in Tier III and Tier IV areas, it would be to offer differentiation of the brands. "We are putting in place dedicated people for marketing and sales for the Datsun brand," he added. Admitting that the company has made the mistake of underestimating the need for sales network, Kargar said going forward Nissan is looking to double its sales and service touch points in the next three years from 270 at present.